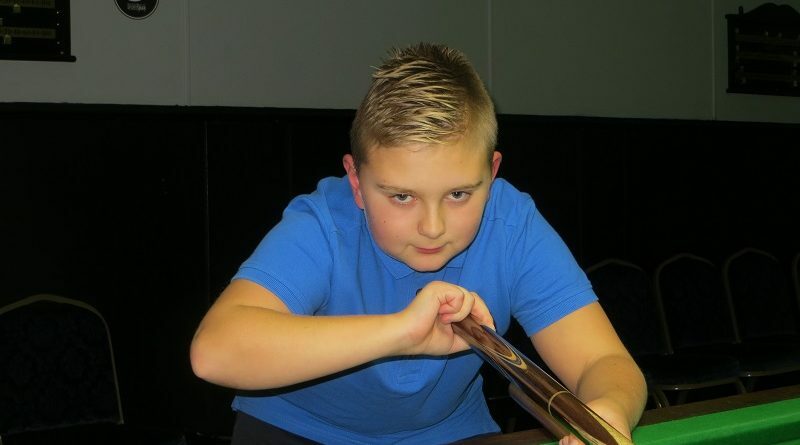 PORTSMOUTH potter Samuel Laxton has secured his third Wednesday Junior Snooker League title at Waterlooville Sports Bar. The 13-year-old revealed that local success has given him the belief to compete regionally. Reflecting on the 20-week season, Laxton said: “It’s been a lot more challenging than the last one. Laxton returned to the green baize in 2016 after a two-year break. He joined the junior leagues at Waterlooville Sports Bar after seeing a story in the Portsmouth News. The following season, he made his debut on the Cuestars Under-21 Bronze Tour, finished third in the rankings and won the championship play-off in Swindon to earn promotion to Silver. Recently, he joined the EASB Regional Junior Tour South, a feeder for the national under-21 circuit. And earlier this month, he qualified for the last-16 of the English Under-14 Championship. “I can feel the improvement in my game,” said Laxton, whose highest break in competition is 43. League organiser and World Snooker coach Tim Dunkley said: “I knew Samuel had the talent to compete regionally as soon as he joined us. “In fact, everyone associated with the junior leagues knew this – apart from Samuel. Jamie Wilson, who concedes a 40-point handicap start to all of his opponents, was three points adrift in second place. Zak Truscott was three points further back in third. Billy Reid won Division 2, for the third time, from Tyler Mack. Ryan Kneller beat Aaron Wilson to the Division 3 title. There was a record attendance for the fifth season. A new 20-week league starts next Wednesday. Complete beginners are welcome. World Snooker coach Tim Dunkley runs snooker sessions for under-19s from 4.30-6.30pm every Monday and Wednesday and junior pool sessions from 4.30-6.30pm every Thursday.